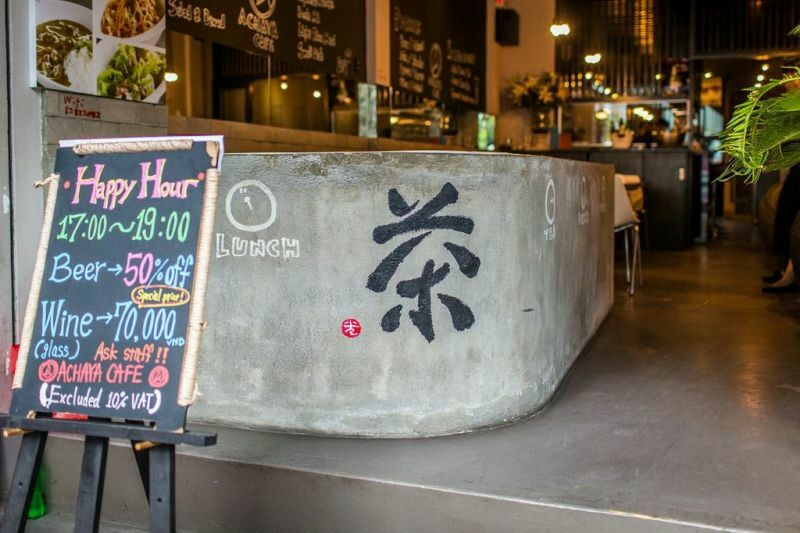 Fuji Ayako came to Ho Chi Minh City from Japan two years ago to help launch a Japanese restaurant, overseeing staff training, customer service and operations. It wasn’t long before she recognized an opportunity for something different. So she set about planning a restaurant that merged Japanese seasonings with Western foods and flavors – fusion food which pays homage to Japan’s staple ingredients, yet satisfies Western cravings for the likes of steak and pasta. She wanted to stand out from the estimated 250 Japanese eateries dotted about the city. 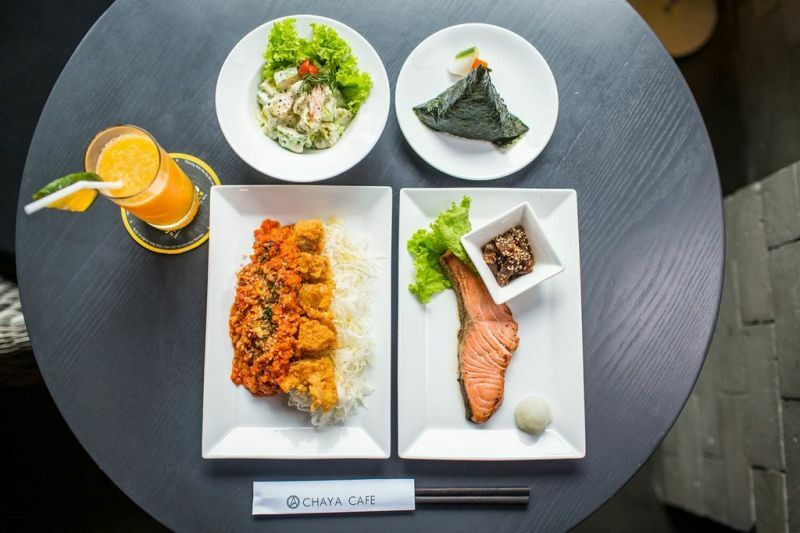 With business partner Hiroyuki Sogo, Ayako created Achaya Cafe, a modern two story restaurant a stone’s throw from Ben Thanh Market, which opened its doors last December. Downstairs is a bustling cafe environment with an exposed kitchen and doors permanently open onto the street. Upstairs is a more intimate affair with semi private, traditional Japanese seating areas for small groups, and hip decor mixing dark timber with light walls and full height glass windows looking onto the street below and offering a perfectly framed view of the Bitexco Tower soaring above the bustle. There are small tables with armchairs for couples and communal tables with colorful decorations. Ayako says her restaurant has proven popular with young Vietnamese women in particular and a steadily growing number of Japanese living here. Given its close proximity to Ben Thanh Market, a lot of tourists passing by are lured by the lively open street level dining area and the accessibility and uniqueness of fusion food. The menu is a little confusing to newcomers – currently comprising at least five different laminated sheets, but soon to be compressed into a single, spiral bound document which should streamline the customer’s selection process. Taking into account the cafe nature of the venue, there are dishes of every size, for the light snacker through to the seriously hungry diner. Roasted nuts and edamame on the snack list aptly illustrate the desire to bridge the cultural divide. There is a broad range of sushi and sashimi, kimuchi (kimchi) in homage to Koreans’ favorite food, the popular Japanese dish Chawananmushi, and steak served with soy bean-based brown sauce. Some dishes have an obvious Italian inspiration: Japanese style fried chicken served with bolognese style sauce, for example. “We like to mix it up,” explains Ayako. 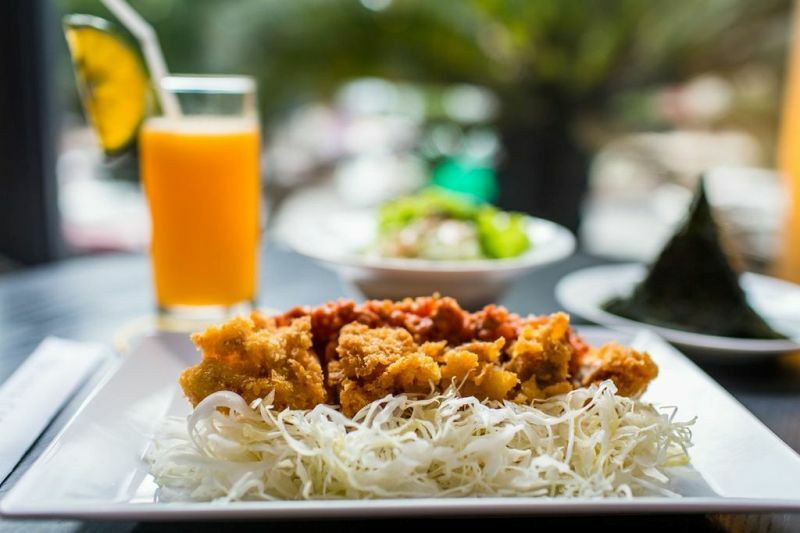 Most dishes at Achaya range in price from VND50,000 to VND120,000. In true fusion style, Achaya offers a surprisingly comprehensive range of drinks. A well-considered wine list includes drops from South Africa, Chile, Australia and France sold by the glass or bottle, a rarity in Japanese restaurants in Ho Chi Minh City, in Oi’s experience. 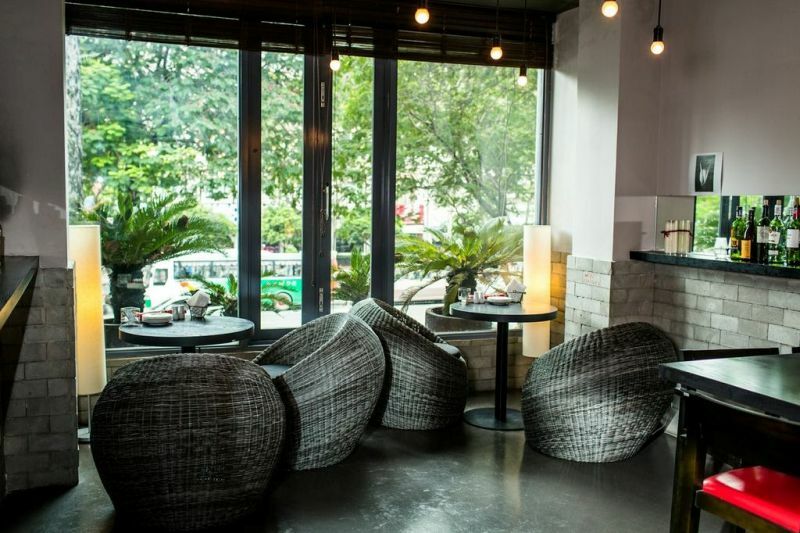 There is a promotional offer of three glasses of wine for VND230,000. Achaya also offers shochu and shochu cocktails, sake and – for the ladies – umeshu, plum wine with a sweeter taste than sake. And we’re told the non-alcoholic options are sturdy thirst-quenching alternatives, too. 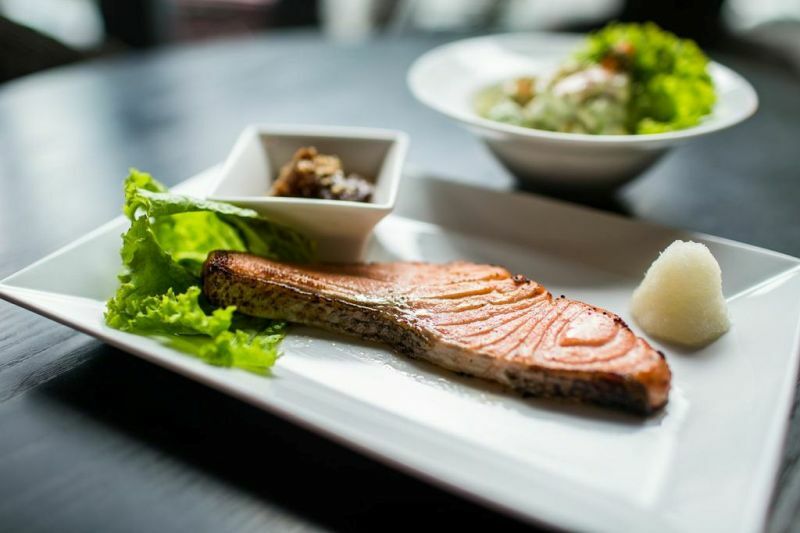 Oi’s reviewers have been dining in a range of Japanese restaurants across Saigon in recent months – and have considerable experience in different international variations of Japanese food in Asia, the US, Australasia and Japan itself. So we were keen to try more unusual offers on Achaya’s menu to see if the fusion really worked. And it did. From the simple Californian inspired avocado salad – a small, delicately flavored dish mixing greens with smooth chunks of avocado and fresh seafood to the ambitious fried chicken and bolognese sauce. The chicken was tender with a light crunchy crumb batter – traditionally Japanese – and the sauce was a surprisingly good match, with a full tomato flavor and just a hint of spice. We also tried the grilled salmon konnyaku served with arm root paste, soft tender fish lightly cooked, the sauce moorish enough we wanted a second serving! Equally moorish were the rice balls – triangular shaped pockets of rice with different fillings inside. The plum one is especially recommended. There may be many Japanese restaurants in this city – some would argue too many – but if you dare to be different, there will always be a market. Achaya Cafe is living proof of that.